Or becoming a coach or an official? Then contact your nearest club and get Involved! 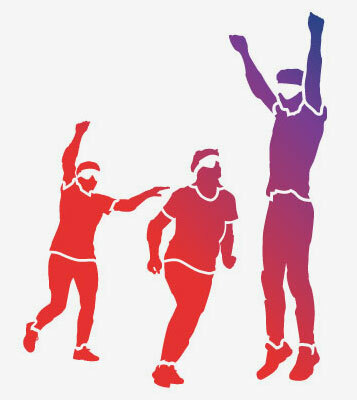 Goalball Times is the new Goalball UK Newsletter providing regular updates on a number of topics from the Goalball community including domestic competition, national updates, club development and other areas of interest. 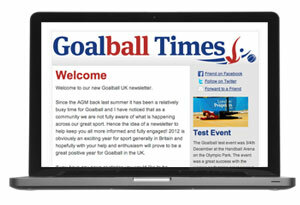 To receive the Goalball Times, join our mailing list by completing the form below. I wanted to give something back to a sport and at the time goalball was a new and exciting sport that was looking for officials. Goalball has provided me with a new lease of life by meeting new lots of new people and learning about a new sport. Give it a go! You’ll make lots of new friends who will support you to be the best you can be in whatever role you wish to take from a player, table official or referee. There is a role for everybody. Goalball is an awesome game there is nothing else like it – it’s a lot of fun to be competing on an equal playing field. Goalball is such a physical sport and you don’t find many other sports like it. It is fun and exciting and I love being part of a team. Goalball has taken me around the world and has given me identity. Being a Paralympian gives me something that people look up to and respect. Goalball has also given me extra family – a goalball family. I had given up on sport but this has giving me a chance for competitive sport. Give it a go and try! You never know what it might do to you. 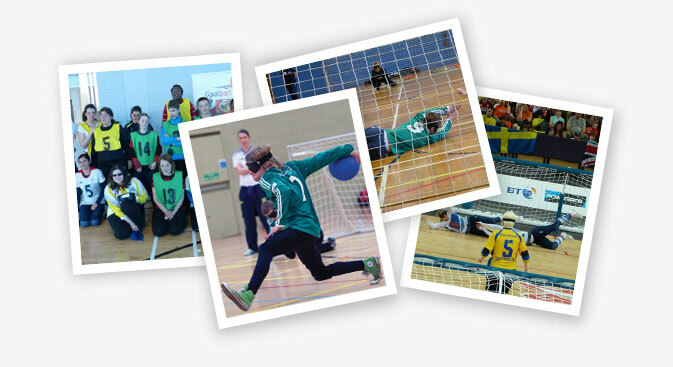 Goalball has got me out and about in the UK – it has improved my leadership, confidence and team work skills. Interacting with people with a visual impairment is very rewarding. Just try it! The videos don’t capture the fun of actually playing. Playing is so unique. There is something so infectious about goalball and its nice seeing people being introduced and trying the sport. It’s difficult to explain why it’s great. Goalball has given me confidence, independence and determination. My coaches have changed the way I think about life. They were very positive and that has rubbed off on me and given me a positive outlook on life. The adrenaline buzz of when that first ball hits you in the match is hard to explain. Sharing these experiences in goalball with people with a visual impairment and those that are sighted creates a unique community within the sport. Goalball has given me an opportunity to become an international coach and formed a career. It has been a great opportunity for me and has been great working alongside these fantastic human beings. Goalball is a fantastic welcoming community unlike any other sport. Everyone knows everyone and supports all. What these visually impaired athletes do is inspiring and something you have to watch. Goalball has opened up a world and community where everyone is striving towards similar goals and achieving great things.